Click the "Learn More" buttons for specifics on each level and to order. 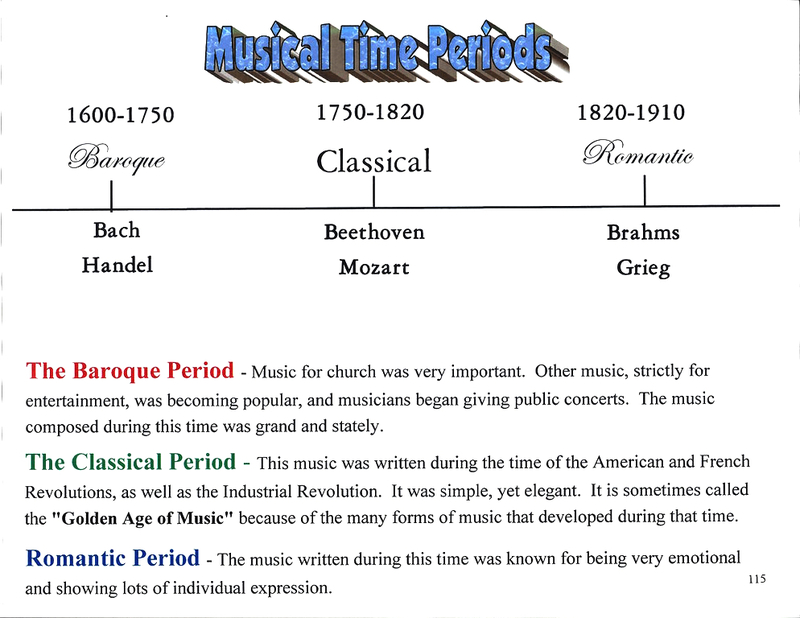 Scroll down for Arrangement Books and sample pages. 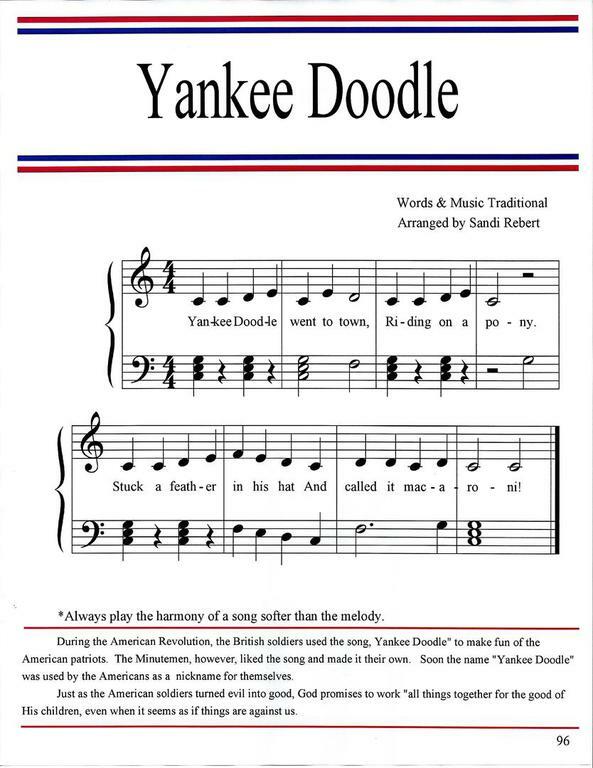 No previous musical knowledge needed! 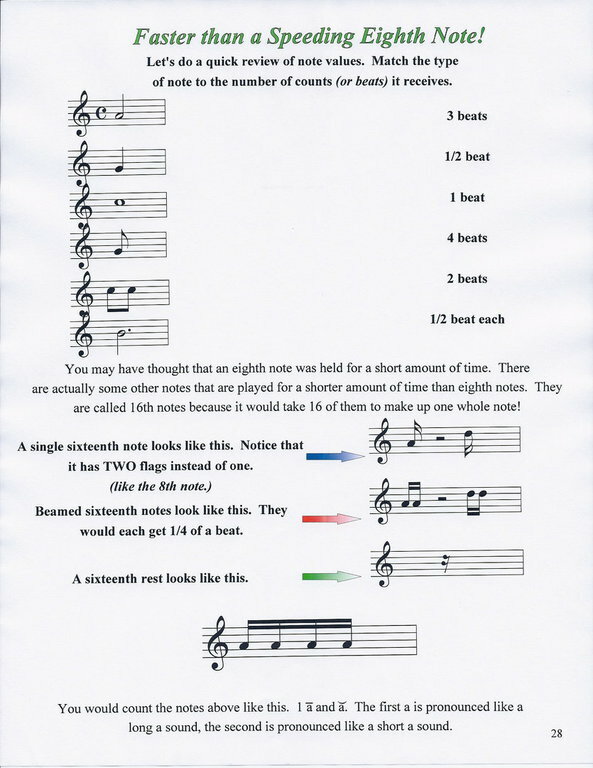 Music basics. 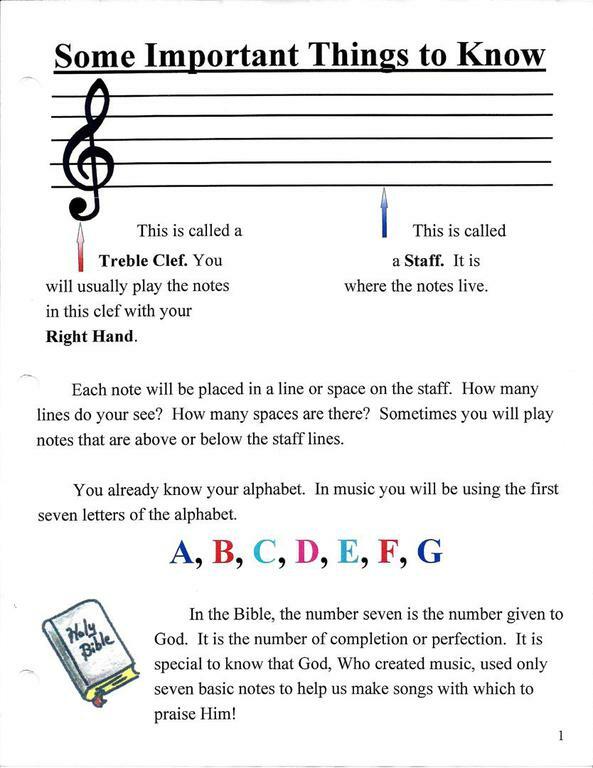 Key of C.
Elementary Level. 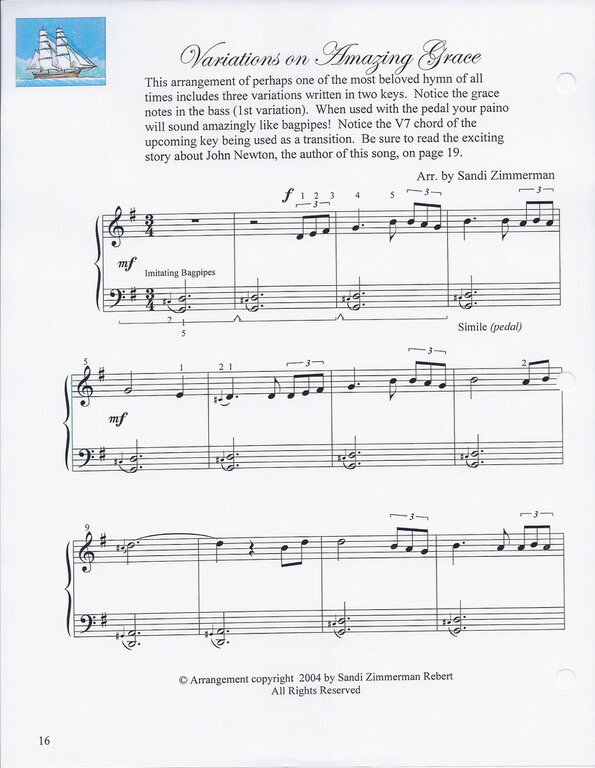 New Keys of F and G Major. More terms, techniques, etc. Lots of review, write-in activities. Late Elementary to early Intermediate. Adds specially arranged classics. 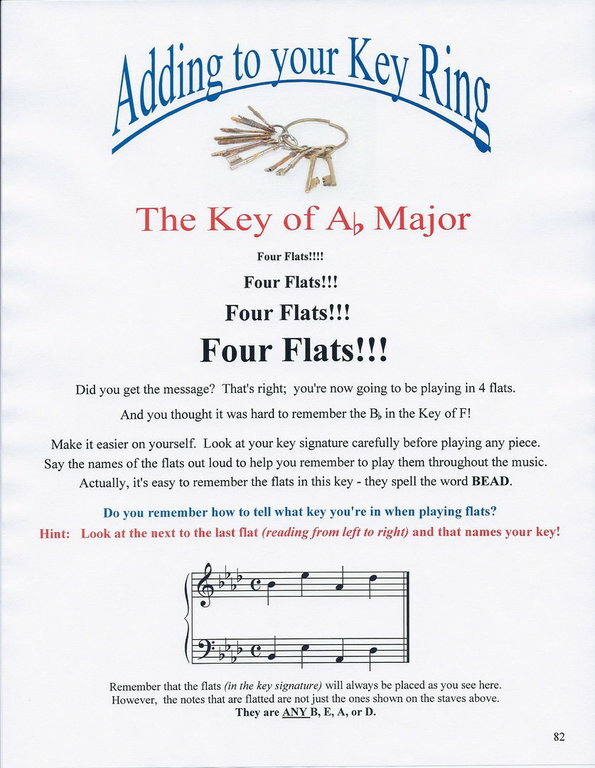 New keys of B flat and D Major. Intermediate to early advanced. Adds hymn-playing techniques. 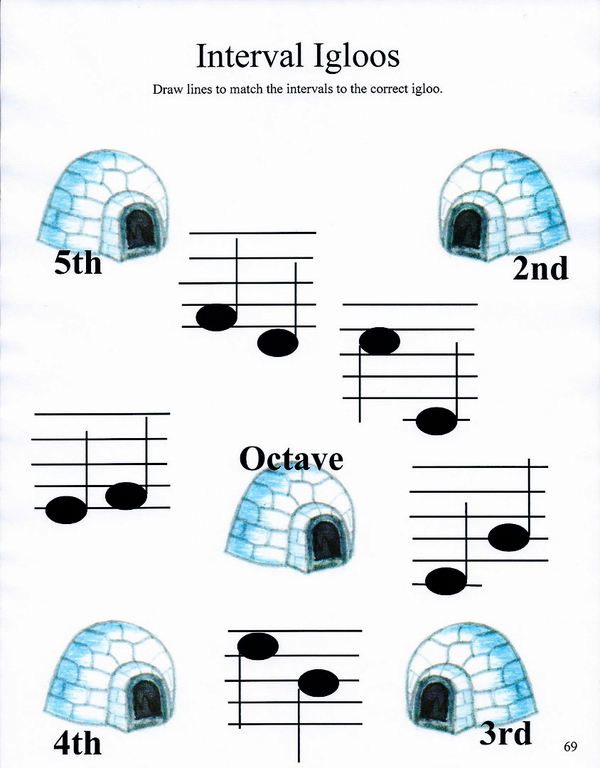 Four new major keys; 9 relative minor keys. The detailed lessons, written in a conversational style, are very easy to understand. Everything is biblically based. 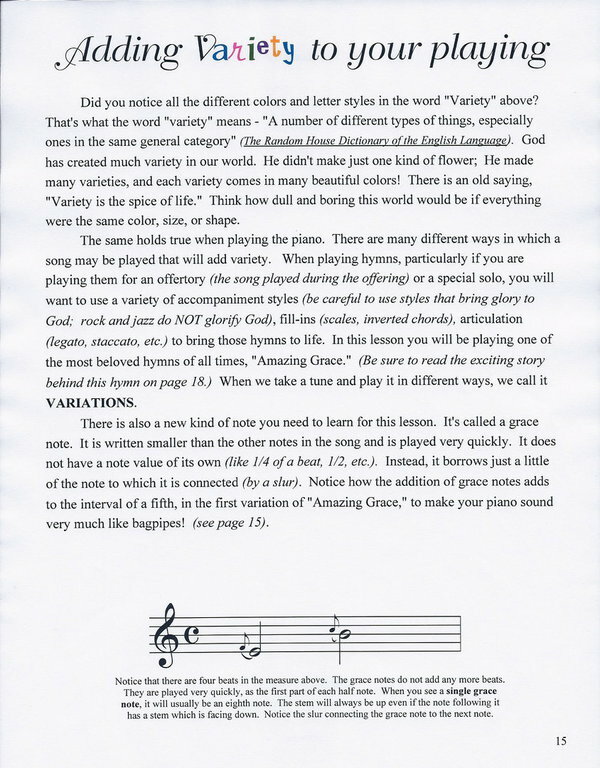 Original songs reinforce the concepts being taught or biblical truths and character building qualities. 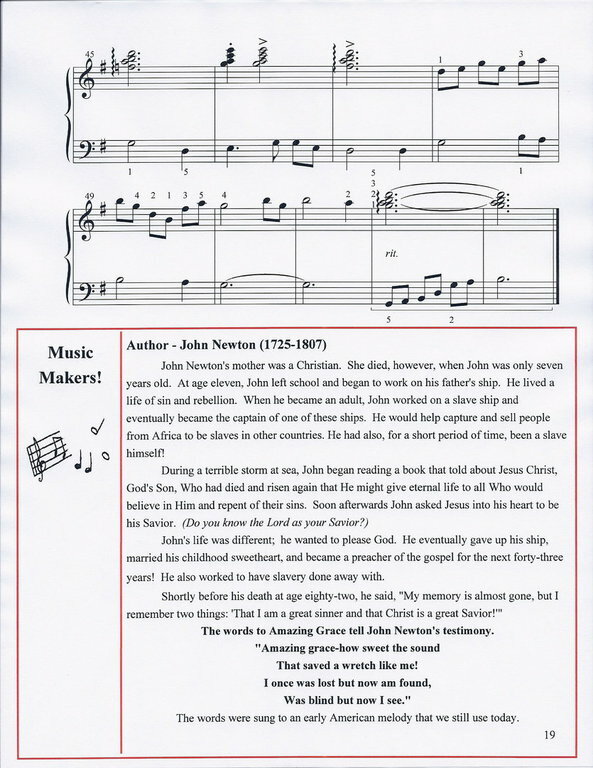 Children's favorites (Primer and Level 1), Classics including the biographical information of the composers (beginning with Level 2), and graded hymn arrangements (with background information about each hymn's origin) round out the musical selections. 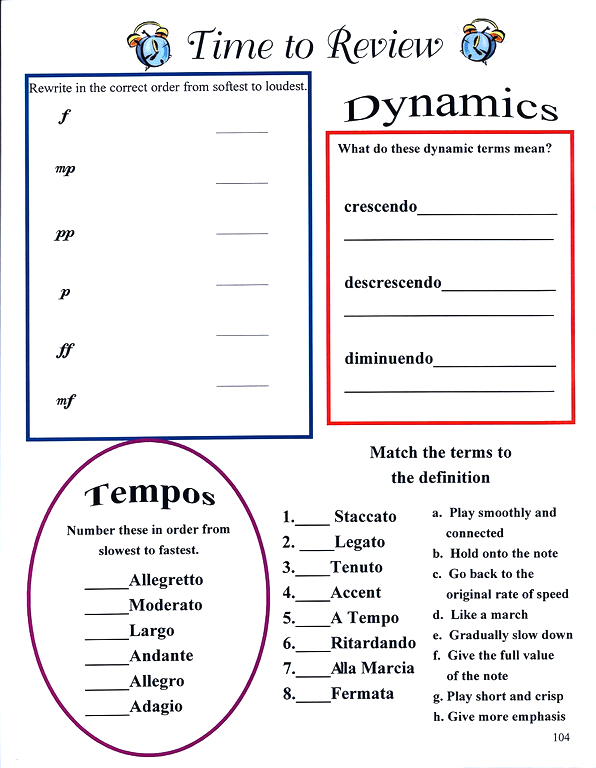 Write-in activity worksheets provide hands on practice to make music theory understandable. The Primer Level and Level 1 are avilable in book form or as downloads. Levels 2 and 3 come in a three-ring binder with divider tabs. There are twenty detailed lessons, with colorful illustrations, per level. More than 50 Flash Cards are included. It also comes with a FREE Answer Key and teaching instructions. We've even included Practice Record Sheets and a Promotion Certificate! To save you money, rather than purchase individual books on the same level for more than one student in the same household, we also have additional Activity Sheet packets which may be purchased for a fraction of the book price. These also include a Promotion Certificate. 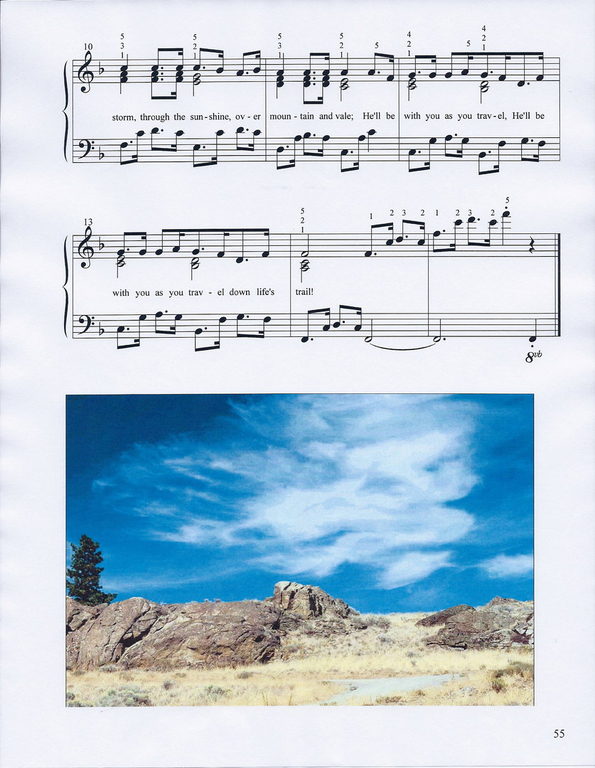 Looking for Sacred Sheet Music? 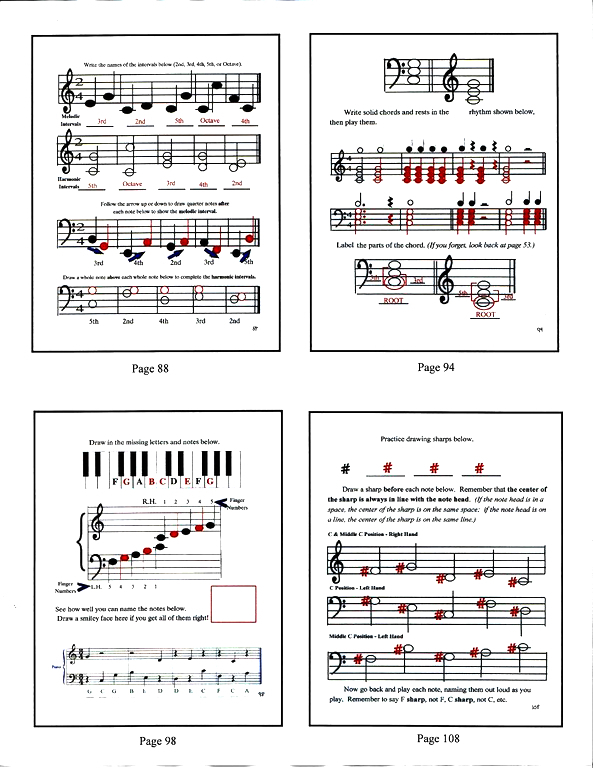 Download our Piano sheet music for Elementary, Intermediate and Advanced levels!